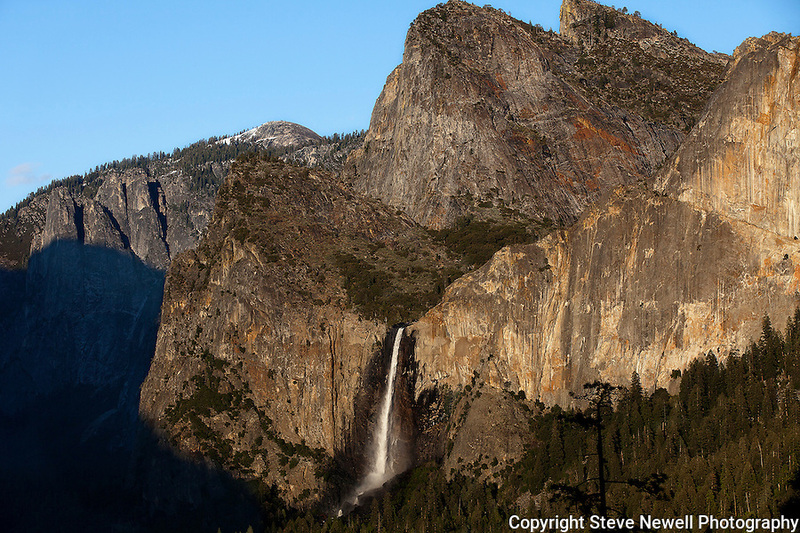 Bridalveil Waterfall at Sunset in Yosemite National Park. I was in Yosemite for a week in March and a week in April during the Spring of 2013. Due to the light winter snow fall I went earlier than normal to capture the waterfalls while they were still flowing pretty good. Sunsets in Yosemite really bring out the spectacular colors of the rock formations.